11 December 2014. Engineers at University of California in Berkeley developed techniques for building inexpensive sensors to measure pulse rate and blood oxygen levels into flexible materials suitable for wearable monitors or fitness devices. 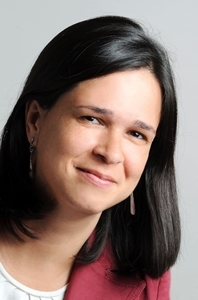 The team led by UC-Berkeley electrical engineering professor Ana Arias published its results online yesterday in the journal Nature Communications (paid subscription required). Monitoring pulse rate and oxygen saturation levels in the blood today are done with pulse oximeters, devices clipped to fingertips or earlobes. Pulse oximeters have silicon chips configured with light emitting diodes, or LEDs, to send out visible red and infrared light, and read the amount of light delivered through the tissue. The system then calculates saturation of oxygen in the blood by translating the difference in recorded light into oxygen levels, as well as measuring pulse rate. While today’s pulse oximeters are useful devices, their electronics are expensive, and thus found largely in hospitals and clinics, and used by trained staff. Since one pulse oximeter will be attached to multiple patients, the devices must be disinfected between each use. Arias and colleagues developed techniques for building pulse oximeter functions into flexible carbon-based materials, rather than rigid chips fabricated with silicon. Their process uses similar measurement methods, with organic LEDs emitting visible red and green light. Organic LEDs are thin carbon-based films between conductors that emit light when a current is applied, a technology found in flat-screen televisions and smartphone displays. The researchers applied the organic LEDs to flexible plastic with printing techniques and spin coating that uses centrifugal force to deposit a solution with the material in a thin, uniform film. Their device also has an organic photodiode that converts the light received through the tissue into a current, and can be configured as well into flexible forms. In the paper, the Berkeley team tested a prototype of their flexible pulse oximeter device, measuring pulse rate and blood oxygenation compared to a commercial device. The results show the prototype device returned readings within 1 to 2 percent of a commercial pulse oximeter.